Dictionary.com has many definitions for the term composition but for us as photographers it just means framing the subject. And framing refers to the border of your image and where you place the subject within the border. An image without a strong composition can fall apart since composition is the foundation of your photo. There are several rules of thumb when we talk about design in an image such as the “S” curve, framing within the frame, balance, diagonal lines, the rule of thirds, angle of view, negative space and many more. 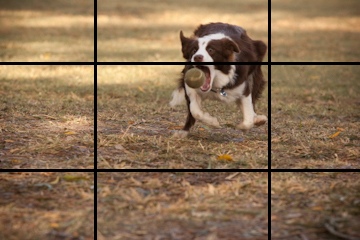 But today I really want to focus on “the Golden Ratio” or better know as the rule of thirds. The rule of thirds is all about proportions and where you place your subject in the frame. The theory is you divide your image into thirds both vertically and horizontally. 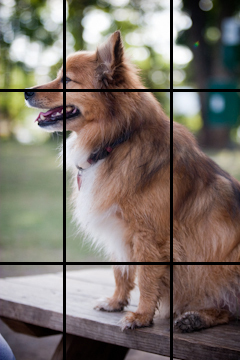 Your eye is naturally attracted to the four points of this grid where the lines intersect and it also gives you four lines that are also useful positions for elements in your photo. Using this rule adds balance to your picture. Let me just say that I believe rules are made to be broken but know the rule, feel the rule, be the rule, THEN break it. 3 Responses to What is Composition? Thanks for offering this blog! It looks very informative and helpful. I look forward to reading more of it. I just discovered the little grid option on my camera (after 3 years) so needless to say this post was helpful!